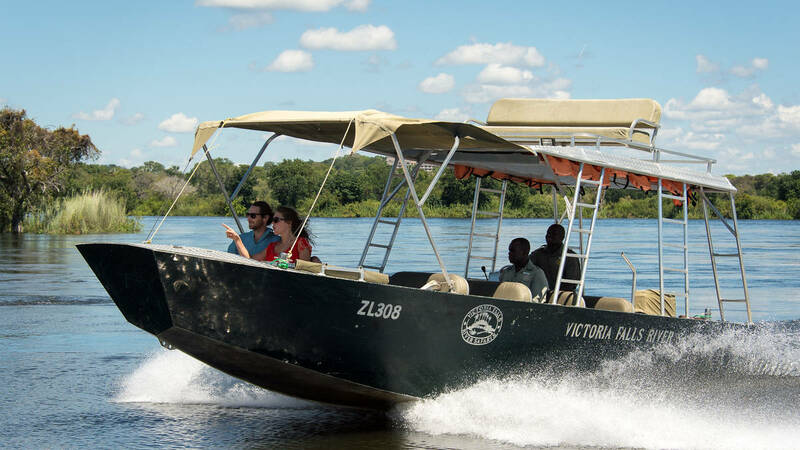 At the Royal Livingstone deck board the river safari boat for an exciting speedy ride over the rapids, then slow down to a leisurely pace to enjoy close-up game viewing before stopping for delicious refreshments on one of the islands. The cruise then continues upstream on the Zimbabwean side of Siloka Island where you join the African Queen or the African Princess to toast the African sunset from the comfort of these royal crafts. 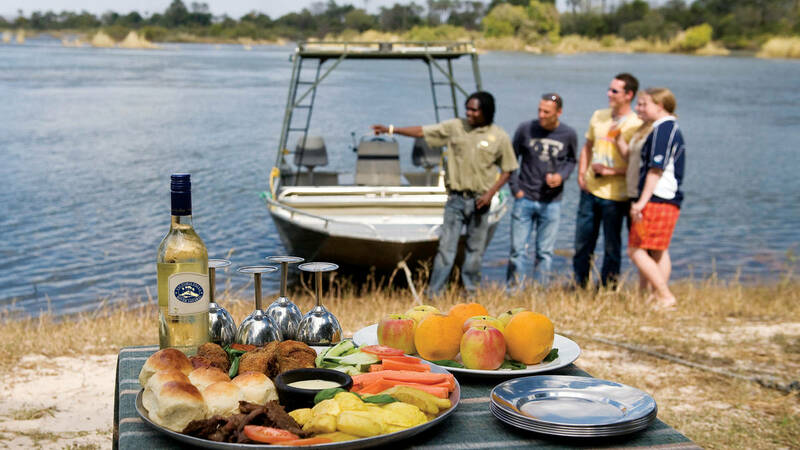 WhereThe river cruise starts at the Royal Livingstone Hotel Deck and ends at the Royal Landing at the water's edge, where you will be transported by road to your accommodation venue in the Livingstone area. Guests or SpectatorsVisitors not joining the Ultimate River Cruise are welcome to browse the curio shop, or purchase refreshments while waiting for the cruise to return. 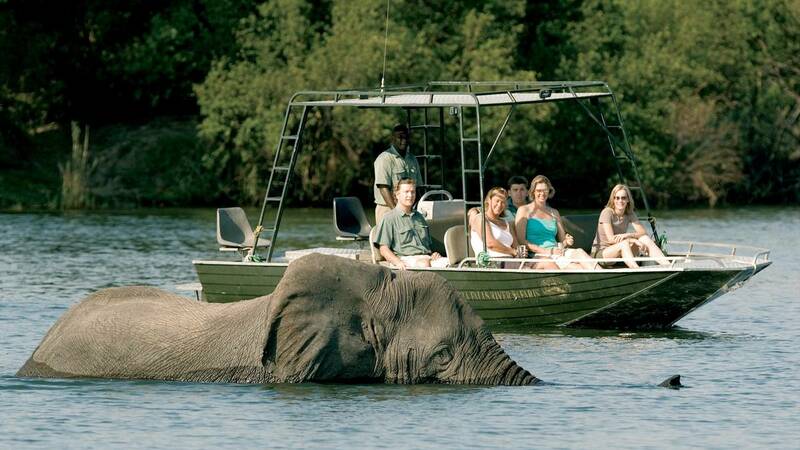 What is the best way to explore the mighty Zambezi? On a boat that meanders along remote channels and speeds across rapids, or aboard a luxury cruise boat that offers gracious hospitality? 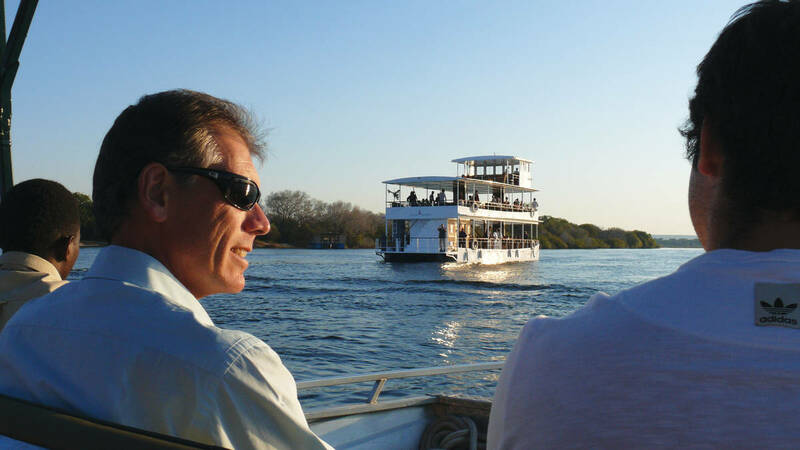 The Ultimate River Cruise Experience offers both unique river cruises in one unforgettable combination activity that will ensure you experience all the Zambezi has to offer. Collection for this spectacular two and a half hour cruise is at 15h30 in winter, and 16h00 in summer. 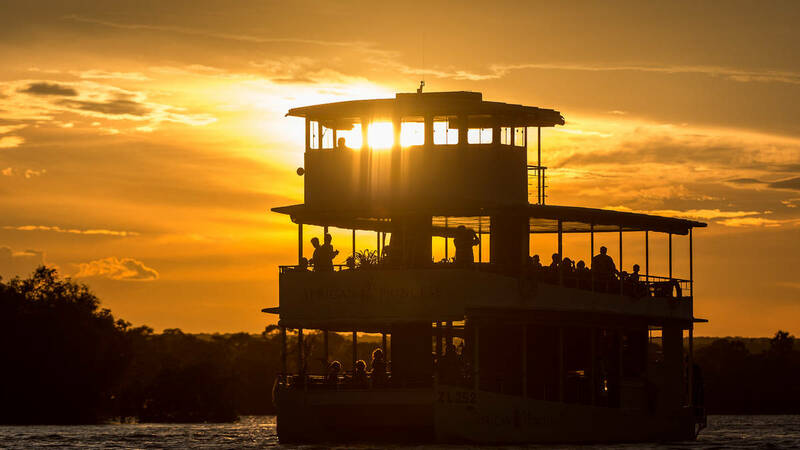 Enjoy an hour cruise on a river safari boat with a stop-off at one of the islands for drinks and snacks. Then join the African Queen or African Princess an hour later to toast the setting sun. 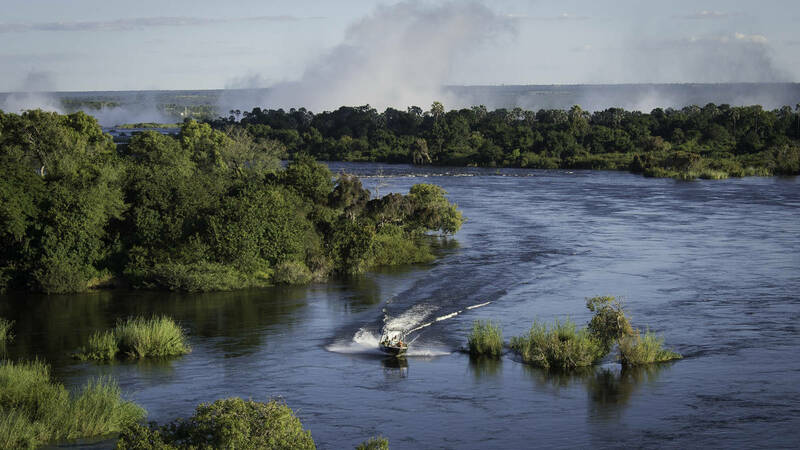 The trip back to the deck in the fading light is a magical conclusion to your Zambezi experience. On returning to the Royal Landing, you will be transferred back to your hotel at approximately 18h00 in winter and 18h30 in summer.